Spend anywhere in Australia that accepts eftpos… Happy Shopping! To activate your card please click "OK"
You will be required to enter your card number and PIN (details are on the back of your card) to activate your card. Your own MyPrepaidCard! Get your logo on a customised card. Perfect for: sales incentives, employee benefits, consumer cashbacks, corporate gifts & staff motivation. How can your business use the MyPrepaidCard? Looking for an innovative tool for your business? 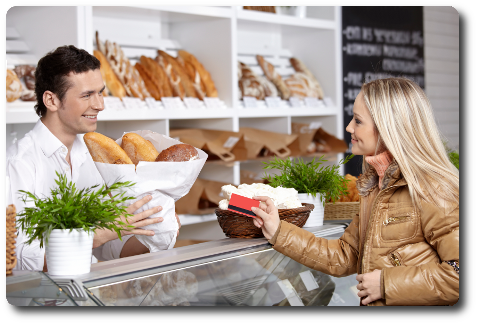 Offer your staff and customers the choice: they can select their own gift with a MyPrepaidCard. Where can I use my MyPrepaidCard? The MyPrepaidCard can be used just like a credit card. Get your MyPrepaidCard today. MyPrepaidCard MyPrepaidCard and Universal Gift Card are owned by Zenith Payments Pty Ltd, the largest marketing company in Asia Pacific. Corporate Gift Cards Choose the Universal VISA Prepaid Gift Card or the MyPrepaidCard eftpos card to motivate and reward your staff.